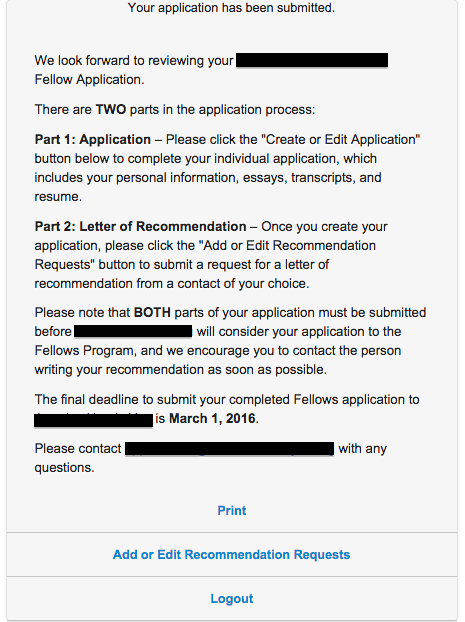 I submitted my application but did not receive a confirmation email. If you are experiencing doubt that you successfully submitted your application, there are a few measures you can take. First, try logging back into your application. On your main menu, you should see one of two screen types. 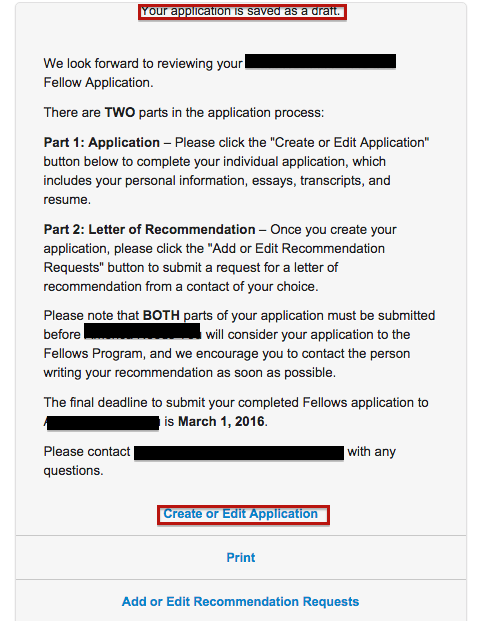 One will have a message letting you know " Your application has been submitted." It may contain further instructions. The main menu options will include Print and Logout. The main menu above indicates that you application has been successfully submitted. On this screen, your main menu is telling you that "Your application is saved as a draft," and you still have access to the Create or Edit Application button. You must access the draft and click Submit. If you are sure you submitted, and you have waited for more than 15 minutes for a confirmation email, please check your spam folder.